Your stay at this Etobicoke hotel places you within 3 miles (5 km) of Toronto Congress Centre and Woodbine Racetrack. Also, Fantasy Fair is within 3 miles (5 km) and The International Centre is within 6 miles (10 km). This hotel features an indoor pool, a spa tub, and a restaurant. Traveling on business? Take advantage of the business center, free WiFi in public areas, and free airport shuttle. You'll appreciate the fitness center, bar/lounge, and convenience store. 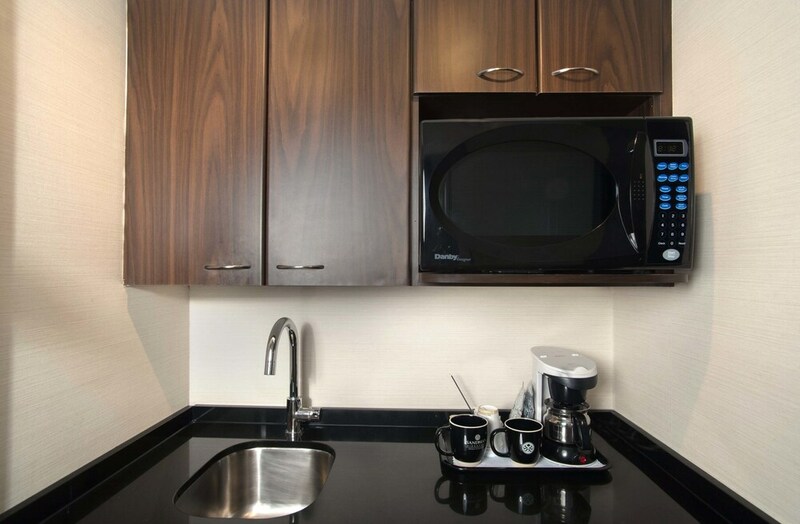 The 256 guestrooms offer free WiFi and free wired Internet, flat-screen TVs with cable channels, and room service. Premium bedding, coffee/tea makers, and hair dryers are also available. We were surprised with a upgraded room! Check in and out were very quick. Everything was perfect. close to Pearson airport. Shuttles are good and included. Hello Randy, Thank you for staying at our hotel and taking the time to give us your rating. We hope to see you again soon! It was a nice hotel that suited our needs. A great experience. Hello, Thank you so much for such a great rating and kind words! We look forward to welcome you back soon! Cons: Time to remodel it. Arrived late and they couldn't find the reservation, but the resolved it. Friendly personnel. Bed was clean, but had a crater in the center. ...killed my back for the next day. Friendly, helpful staff; business-friendly rooms. Our arrival late at night from the airport was greeted with a smile and no hassles. Our room would have been more comfortable for one business traveler, but we weren't going to be spending much time there. Amenities all new and in good order. Not awfully close to a lot of things, but swift,easy transit to the airport and some major businesses. Sandman Signature Toronto Airport Hotel offers its guests an indoor pool, a spa tub, and a fitness center. There's a restaurant on site. You can enjoy a drink at the bar/lounge. Public spaces have free WiFi and wired Internet. There's an onsite business center. Event space at this hotel measures 12465 square feet (1158 square meters). The eco-friendly Sandman Signature Toronto Airport Hotel also features gift shops/newsstands, dry cleaning/laundry services, and a grocery/convenience store. A roundtrip airport shuttle is free (available 24 hours). Limited parking is available for a fee and is offered on a first-come, first-served basis. This 4-star Toronto hotel is smoke free. Sandman Signature Toronto Airport Hotel has a restaurant serving breakfast, lunch, and dinner.